SATURDAY, MAY 20th 2017 – 4:00PM – 3 Rivers Screenwriting Conference – GRW Theater – Pittsburgh, PA. *Star in attendance. Details here. FRIDAY, APRIL 7th 2017 – 7:30PM – Champion Autism Network Film Festival – Grand 14 Cinema, 4002 Deville St, Myrtle Beach, SC 29577. *Star in attendance. Get tickets here. FRIDAY, FEBRUARY 17th 2017 – 7:00pm – Frick Fine Arts Building – University of Pittsburgh – Pittsburgh, PA. *Director and star in attendance. Stay posted here. 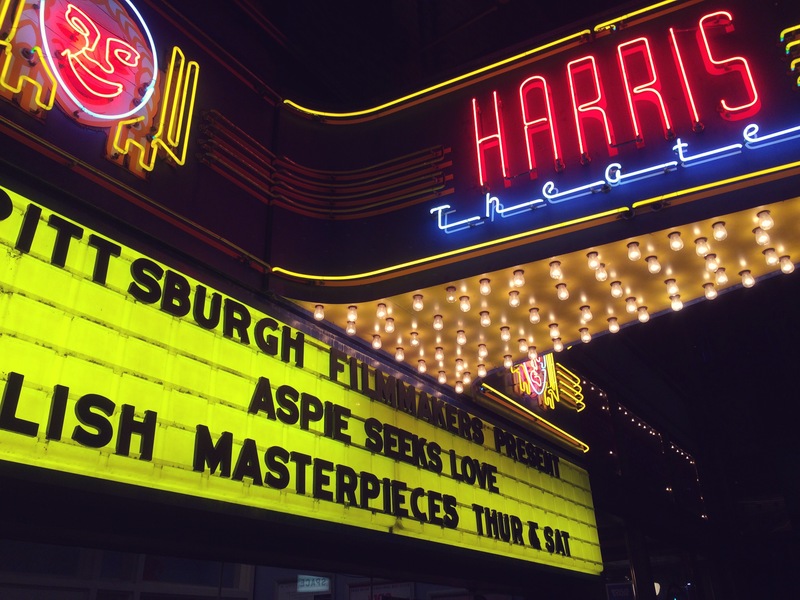 Aspie Seeks Love plays the historic Harris Theater. 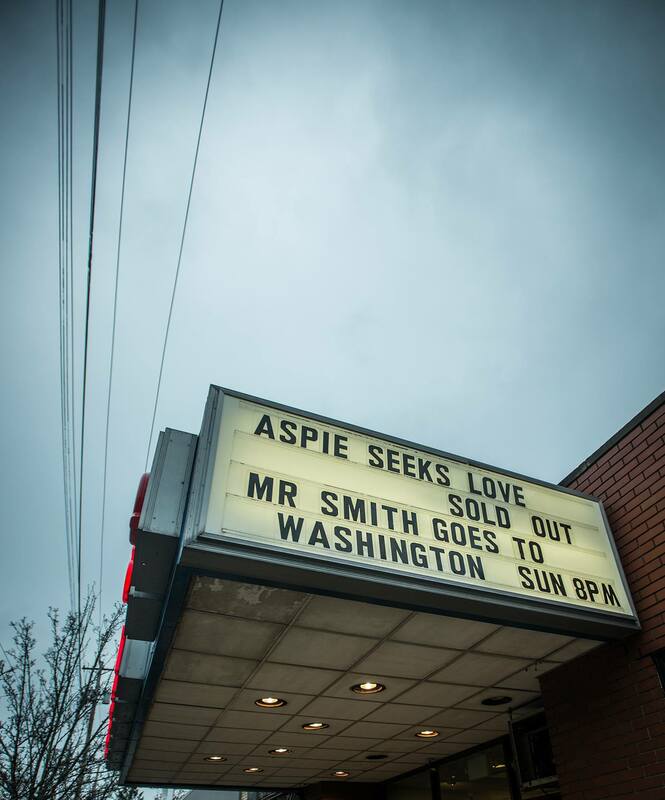 Buy Tickets – *Special Encore Screening for Aspie Seeks Love, awarded Best Documentary Feature Film at Cinequest! 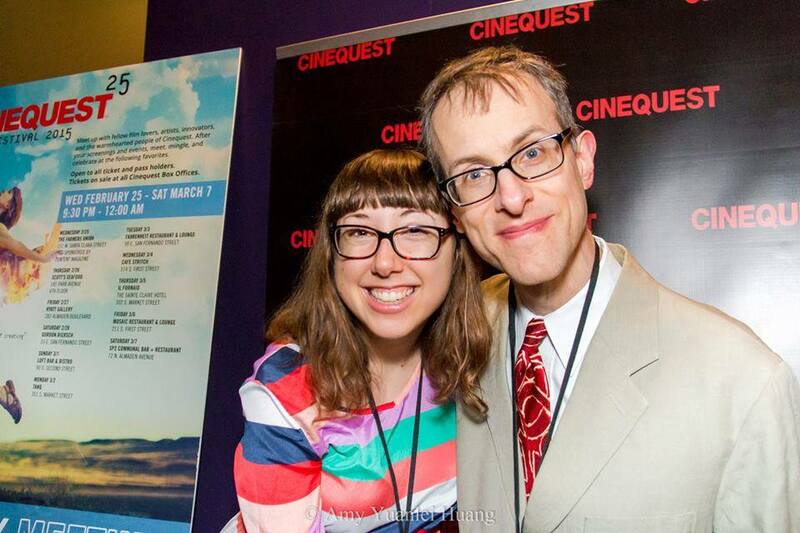 Aspie Seeks Love wins Best Documentary Feature at Cinequest. 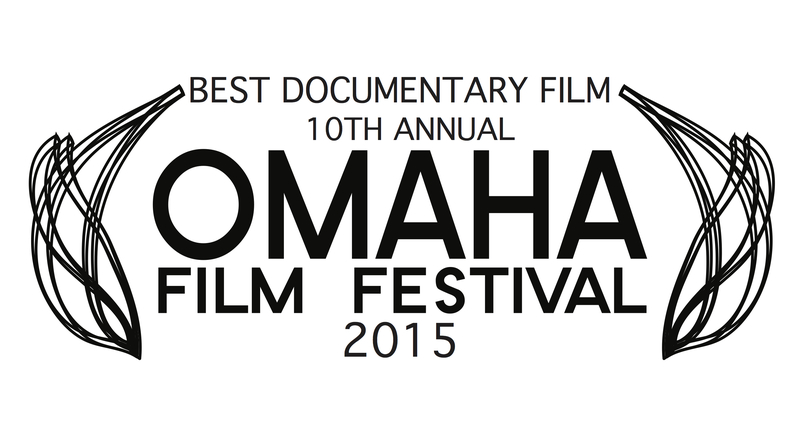 More info at the Fargo Film Festival website. 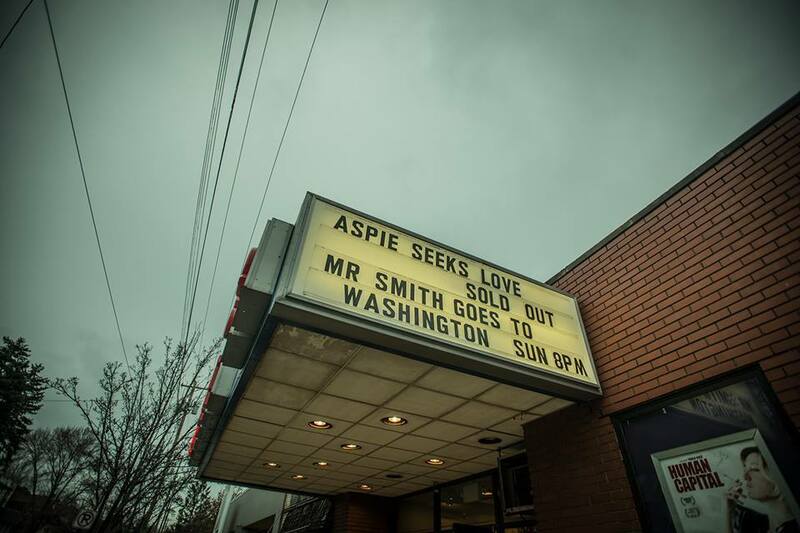 Aspie Seeks Love wins Best Documentary Feature at Omaha. Buy Tickets / RSVP on Facebook SOLD OUT! 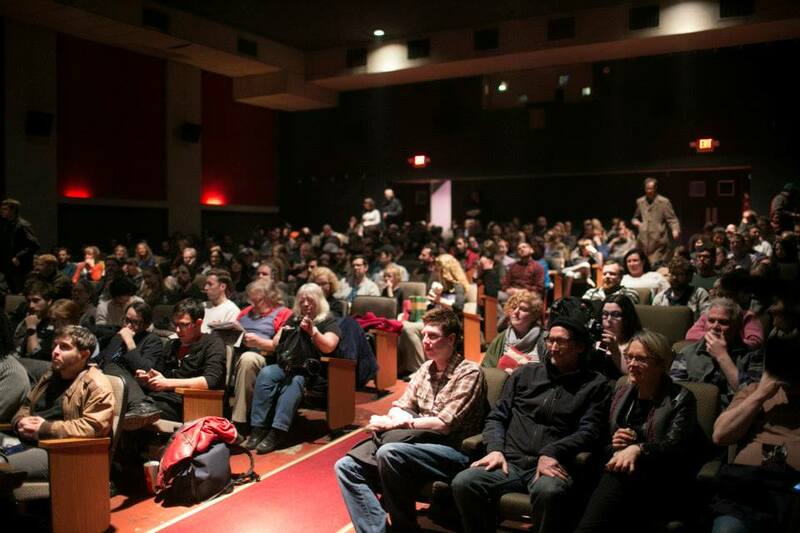 The film has its hometown premiere at Regent Square Theater. 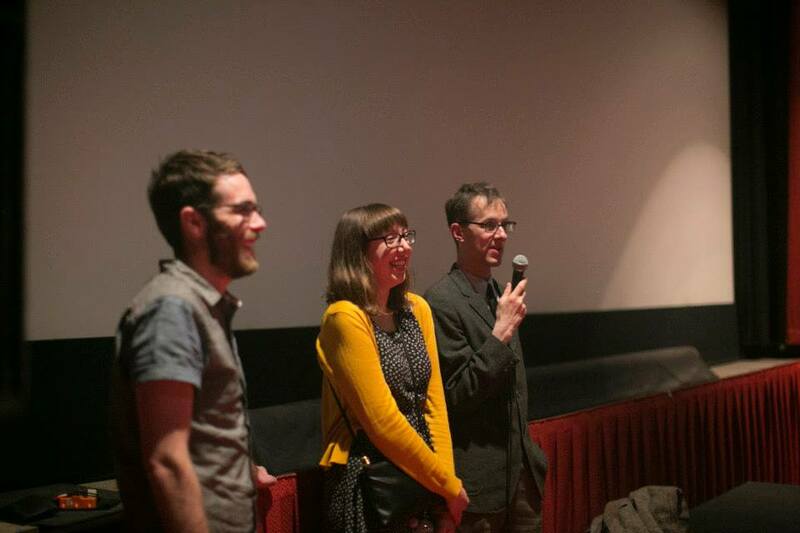 Q&A with cast and crew at the film’s hometown premiere. Buy tickets at the Florida Film Festival website. 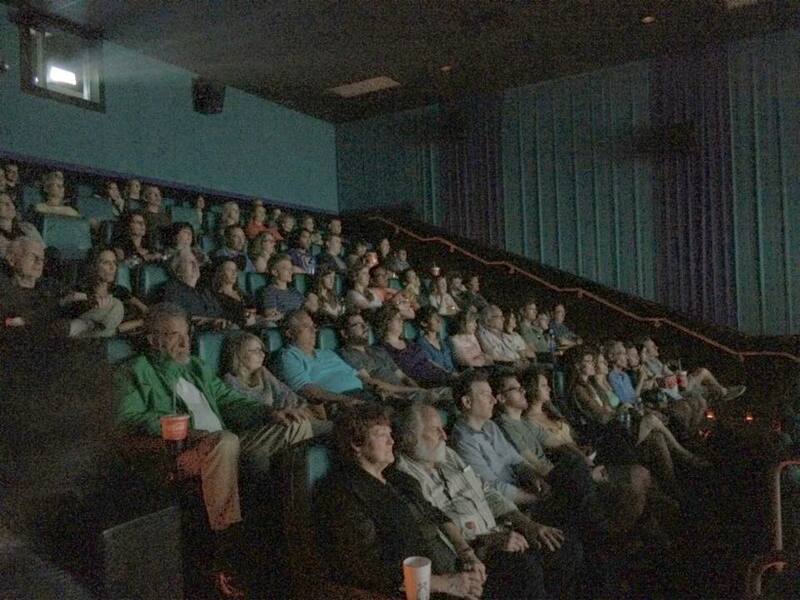 The film’s first screening at the Florida Film Festival. 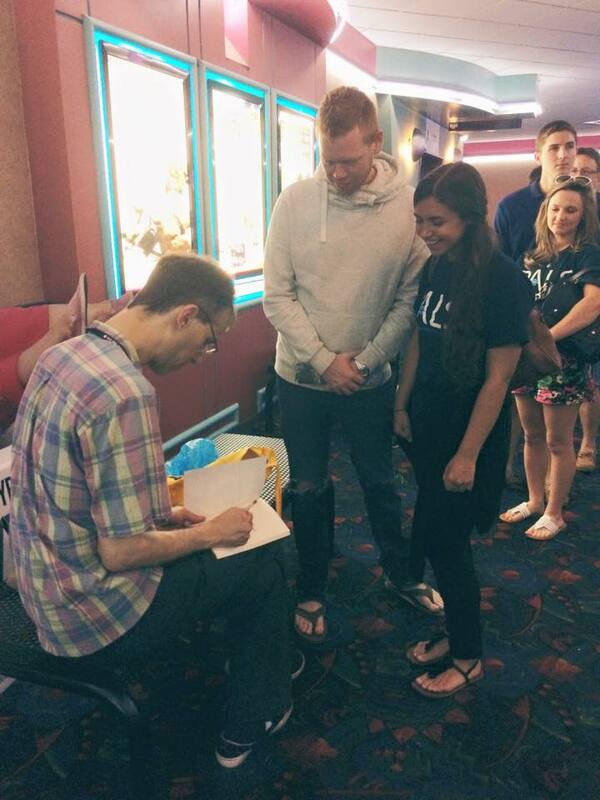 David signs books after the Florida screening. 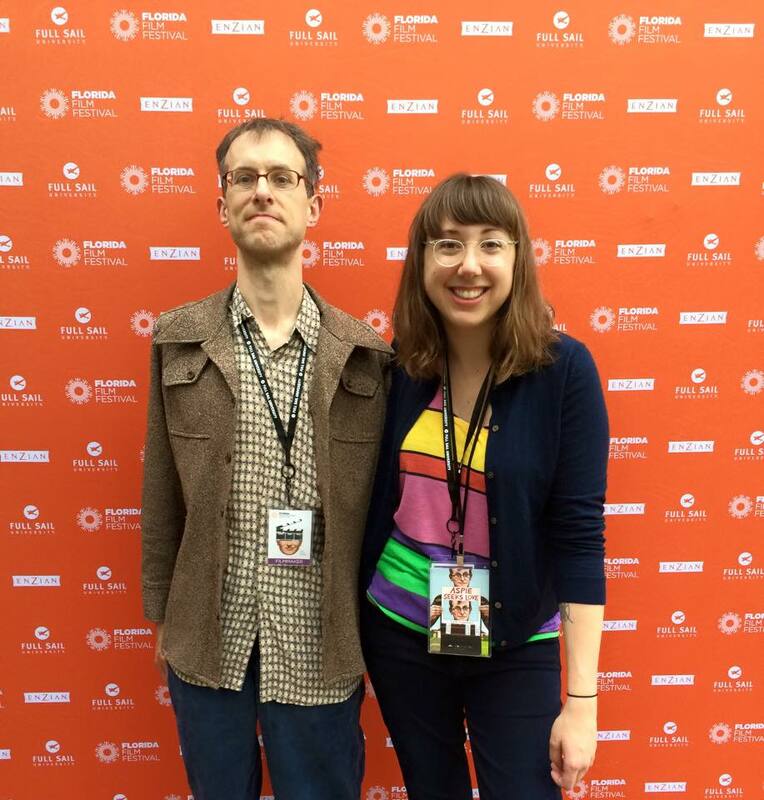 Aspie Seeks Love at the Florida Film Festival. 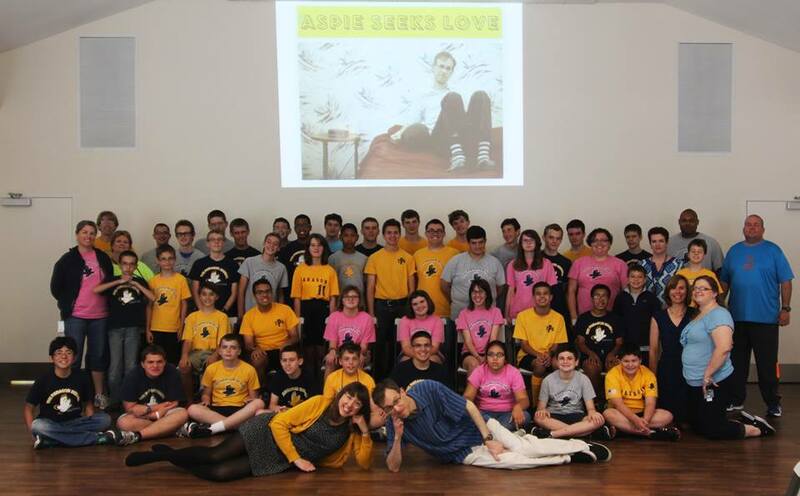 Aspie Seeks Love visits the Paragon School for high achievers on the autism spectrum. Tuesday, April 14 2015 – 7 :00 PM – Cassell Hall at Pitt-Greensburg. Free and open to the public with a pizza reception afterward. Learn more at the FB event page. 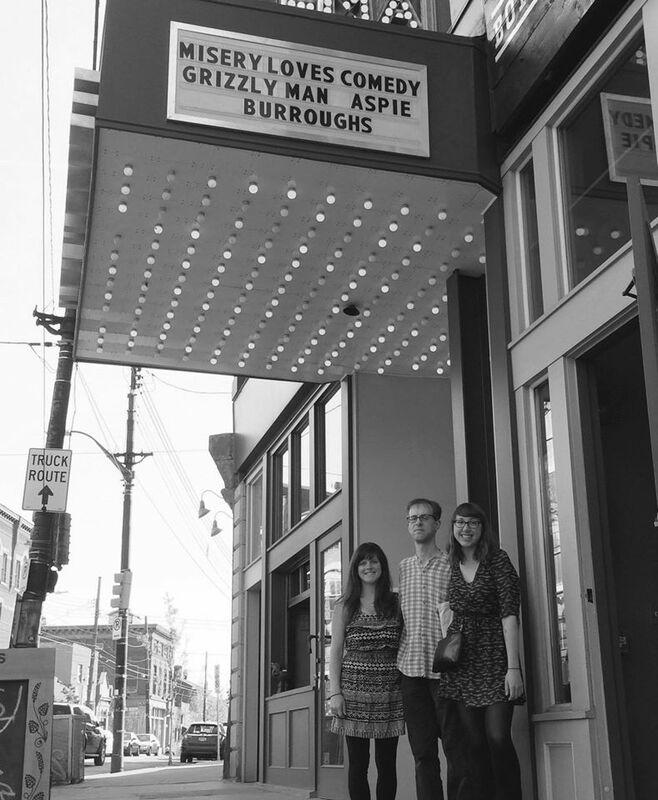 Buy tickets at the Kansas City Film Fest website. More information at the Pittsburgh Filmmakers site. David meets the audience after the Harris Theater screening. Screening will be followed by Q&A with director Julie Sokolow, star David Matthews, Lu Randall – the executive director of ABOARD, and Heather Conroy, autism spectrum coach and specialist at HConroy Consulting. More information coming soon at the Row House Cinema site. 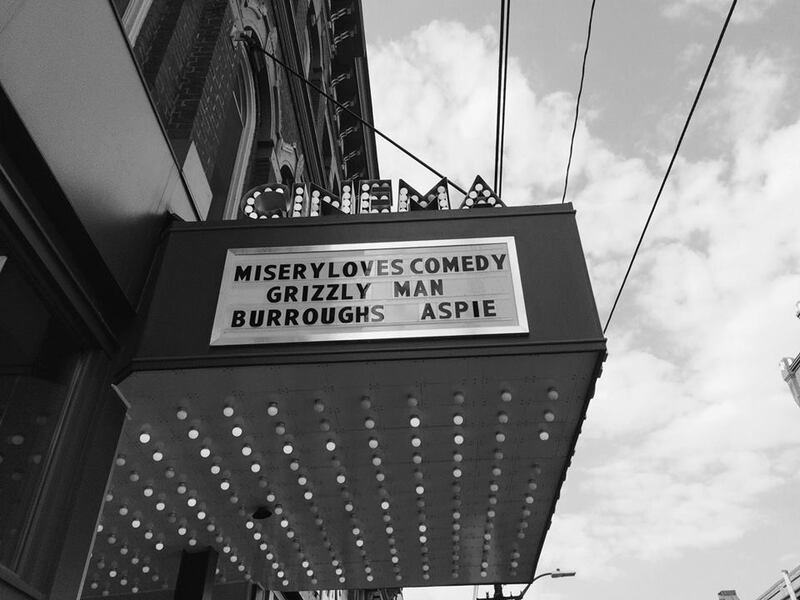 Aspie Seeks Love on the marquee for Rowhouse Cinema’s Documentary Week. Autism counselor Heather Conroy joins the film’s Q&A at Rowhouse. Buy tickets at the STIFF website. May 25th 2015 – 1pm – Beverly Hills Music Hall – Music Hall 3 – 9036 Wilshire Blvd. Buy tickets at the Laemmie website. Buy tickets at the UnionDocs site. Free for the community. Learn more at the AANE site. Buy tickets at the Tugg site. Buy tickets at the East End Film Festival site. Stay posted at the New Orleans Film Festival website. 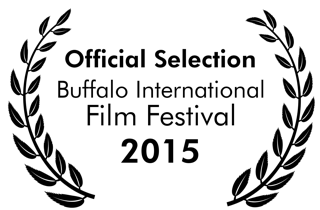 More info at the Buffalo International Film Festival website. Saturday, January 30th 2016 – 5:30pm – Florida Mall Hotel and Conference Center – 1500 Sand Lake Rd, Orlando, FL, 32809. Hosted by the organization UCF Card. 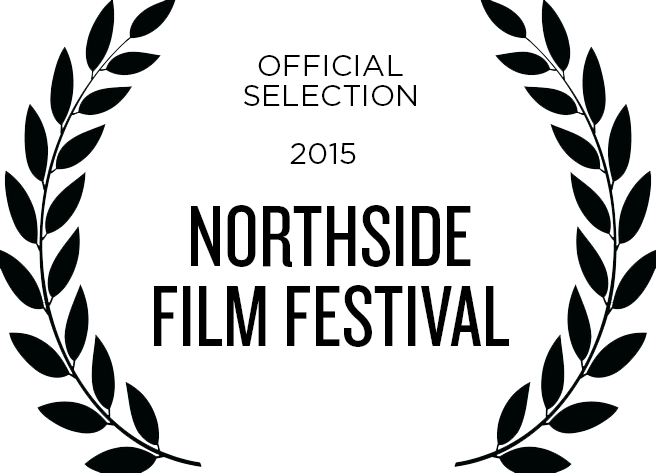 Learn more about how to attend this screening here. 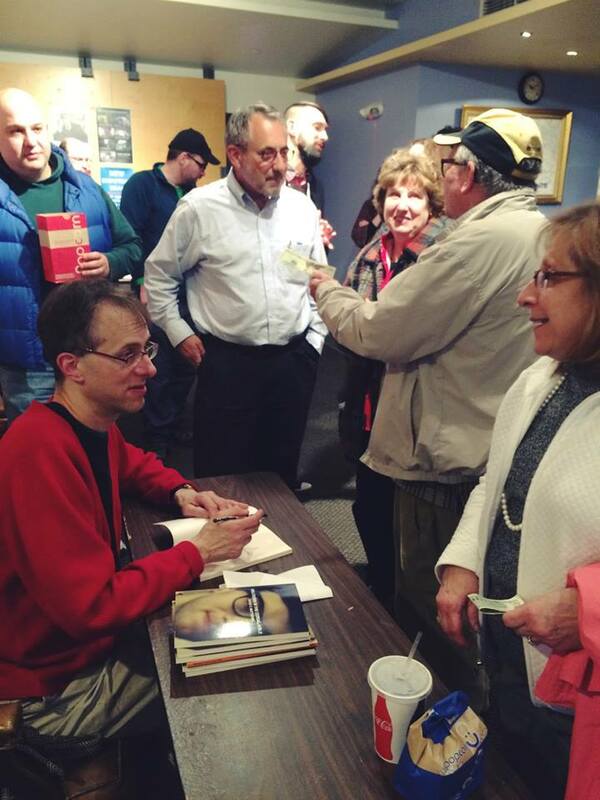 Saturday, February 27th 2016 – 2:00pm – Whitehall Public Library – Whitehall Community Room – 100 Borough Park Dr. Pittsburgh PA 15236. Learn more here. SUNDAY, JULY 24TH 2016 – 7:30PM – The Strand Theater – 119 North Main Street, Zelienople, PA 16063. *Star David Matthews will be there in person for a Q&A. Buy tickets here. 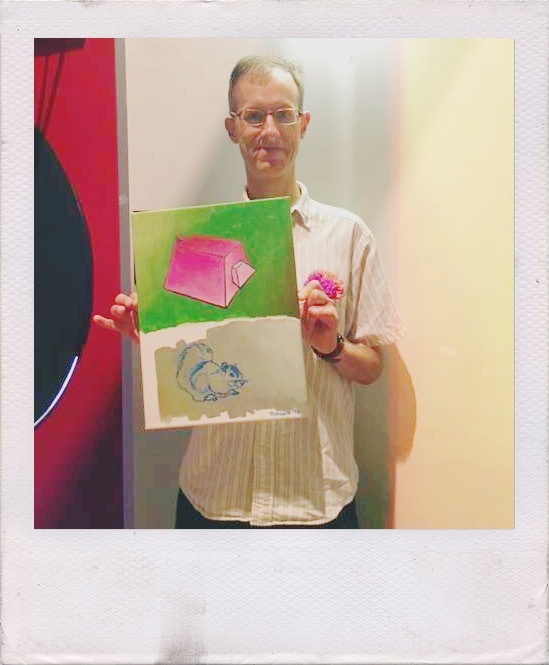 David shows his art at The Strand.